Tania has finally found a way to bring her two worlds together, and while enjoying a long-awaited meeting of her mortal and faerie families, with her beloved Edric by her side, all seems right for the princess. But when a faerie baby suddenly falls ill followed by more and more faeries, including her own sister Cordelia, Tania knows that something is terribly wrong. With no time to lose Tania joins forces with her sisters to find a cure before this terrible plague kills everyone she loves. Yet as the illness spirals out of control and a mysterious healer appears on scene, Tania realizes what they really need is help from the mortal world. But will bringing another stranger to Faerie only make things worse? With countless lives hanging in the balance and a fast-growing Faerie suspicion of all things mortal—including Tania herself—Tania makes a desperate move that will either save the land and people she has come to hold dear… or destroy their only chance for survival. This is the fourth book in the Faerie Path Series. 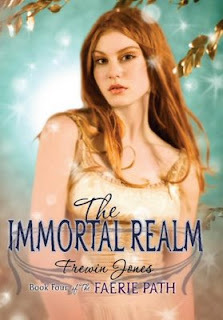 Which is about a girl who on her 16th birthday finds out that she is the seventh daughter of Faerie thus giving her the special power to walk between the mortal world and Faerie World. I really like this series because it is interesting and the settings are painted so beautiful. Also the characters are all really different and interesting. Also even though this is such a long series which could become boring it is not! Every book is exciting and interesting. Also even though it would be helpful to have read at least the first book you can kind of get the idea just through the new book. This particular book is good because we get to interact more with Rathina, one of Tania's sisters. Also we get to see another stricter side of the father King Oberon. Plus we get to experience more of Faerie. I liked this book a lot and I cannot wait until the 5th book The Enchanted Quest which is a continuation of the 4th book comes out on February 1, 2010! Molly and Cassie are complete opposites but when they refuse to do an English project together a small disagreement escalates into so much more. As their punishment for the massive food fight they had they are forced to help out in the cafeteria! At first they cannot stand each other and try to foil each others plans. But when the Head Lunch Lady quits they are forced to take charge of the kitchen until they get 5 good ratings in a row. But even as they start getting along things are still falling apart, can they come together and get out of this mess? This book was really funny and fun. Molly and Cassie are two lovable characters who keep self-foiling. Throughout the book they grow closer to each other and find out hidden talents that lie not just in themselves but in others as well. This book had a few different plot lines that helped me from getting bored with the storyline. Another great plus that comes with this book are 4 wonderful recipes from the book (the good ones) also the cover is really awesome! It's late in the twenty-first century, and the United Safer States of America (USSA) has become a nation obsessed with safety. For Bo Marsten, a teenager who grew up in the USSA, it's all good. He knows the harsh laws were created to protect the people. But when Bo's temper flares out of control and he's sentenced to three years of manual labor, he's not so down with the law anymore. Bo's forced to live and work in a factory in the Canadian tundra. The warden running the place is totally out of his mind, and cares little for his inmates' safety. Bo will have to decide what's worse: a society that locks people up for road rage, or a prison where the wrong move could make you polar bear food. I had never heard about this book but I picked it up because the cover intrigued me. It was ok, I thought it was going to be better because of the description. Even though it was not one of my favorites it was interesting, inventive, and had a good lesson behind it. Through Bo's stint in prison the readers learn about the importance of following the rules and that sometimes even if the rules seem ridiculous they can be helpful. I had never read a book by Pete Hautman but I might try one of his better known books in order to get a better sense of his writing style. Fifteen-year-old Laurel has led a sheltered, home schooled life in a very small town, so when her parents decide to move and enroll her in high school, she has trouble getting used to her new life. A life, as it turns out, that’s not at all like those of other kids. One clear sign is a winglike blossom that blooms on her back. Oh, and her new best friend, the scientifically minded David, reveals under a microscope that her cells are more plant than animal. But it takes an encounter at her old home with the handsome but decidedly different Tamani to convince her that she is a faerie. She also learns it’s up to her to save her land from the evil influences that are trying to take it away from her and her family. 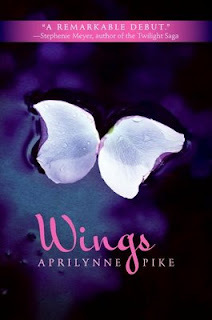 This was a great debut book by Aprilynne Pike. She draws you into the setting and makes you feel as if you know the characters. Throughout the book Laurel is faced with changes to herself and her family that she must conquer. This book is like a combination of many other fantasy books. For example Wicked Lovely and Twilight. But at the same time it is it's own book completely. If you liked either of those books you would probably like this book, but even if you hate those other books this book still has something in it for you! I enjoyed the character's personalities and how Laurel was so completely different than any other main characters in any book I have read! This mesmerizing story begins where most novels end: in a tension-filled climactic event, in which the fate of the protagonist and a nation hang in the balance. 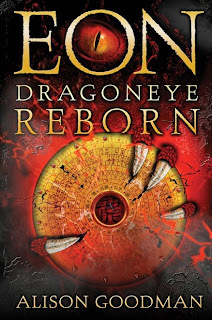 Goodman catapults the reader headfirst into a pivotal moment in the Empire of the Celestial Dragons, a world so richly imagined that it feels real. No detail is overlooked, from the smallest sensory description to the fascinating myths of the elemental dragons. It is a new year, and 12 boys vie to become an apprentice to the ascendant Rat Dragon. Eon has trained for this moment for four years, but she and her master hide a dangerous secret. Eon is actually Eona, a 16-year-old girl with a singular talent. Females are forbidden to take part in dragon magic, and Eona faces disembowelment if discovered. As the story races forward, Eona becomes the fulcrum of a seesaw struggle for control of the Empire. This book was amazing! As soon as I picked it up I was drawn into the book! It had a good solid plot with many subplots that add to the suspense. This book had a strong female character, tons of action, treachery, and an underlying scheme. Throughout the book Eon (Eona) grows and learns not to be ashamed of her gender or her disability, which gives a strong message to the readers. It was extraordinary! Lovers of The Hunger Games and Graceling are sure to enjoy! In the summer between her freshman and sophomore years, Frankie Landau-Banks transforms from “a scrawny, awkward child” with frizzy hair to a curvy beauty, “all while sitting quietly in a suburban hammock, reading the short stories of Dorothy Parker and drinking lemonade.” On her return to Alabaster Prep, her elite boarding school, she attracts the attention of gorgeous Matthew, who draws her into his circle of popular seniors. Then Frankie learns that Matthew is a member of the Loyal Order of the Basset Hounds, an all-male Alabaster secret society to which Frankie’s dad had once belonged. Excluded from belonging to or even discussing the Bassets, Frankie engineers her own guerilla membership by assuming a false online identity. This was a very interesting book at first i thought I was not going to like it or it was just going to be a typical boarding school novel. But it certainly surpassed my expectations. It was filled with romance, friendship, treachery, and good old fashioned pranking. Frankie was a very loveable character that I could relate to and would have liked to know.It was also very informative about different secret society traditions. Overall a good read! After her parents’ divorce, Maddy has to leave her ultra-hip Boston life for a New Hampshire suburb, where she, her mother, and her sister stay with Grandma. Not only does Maddy have to deal with missing her friends and father, but Grandma ruins her first day at school by insisting she wear a unicorn sweatshirt and then by embarrassing a popular boy with stories of his childhood bed-wetting. 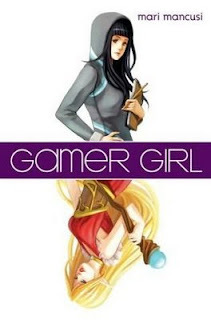 Bullied by the in-crowd (“the Haters”), crushing on the wrong guy, and stuck with the nickname Freak Girl, Maddy escapes into her drawing and the online game Fields of Fantasy, where she can vanquish enemies and make friends far easier than at school. After encouragement from a sympathetic teacher, Maddy makes friends by starting a manga club. But just when things are improving, the Haters strike again. 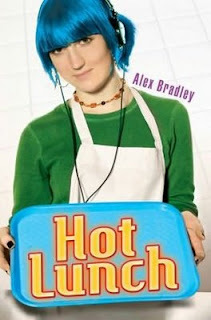 This was a good book that encourages people to stand up for themselves and not let themselves be bullied. Also that even if you are scared to do something just do it because it might turn out for the better. Maddy is a very likable character that has the same issues that teens today have. This was a light read that you did not have to think much about to get. Just when Emerson Watts is becoming used to her new life as supermodel Nikki Howard another bomb is dropped on her when Nikki's brother shows up because their mother is gone. While Nikki searches for clues to where Nikki's mother could be, she discovers secrets that she never expected, all while trying to get her former best friend to realize that Nikki is really Emerson. 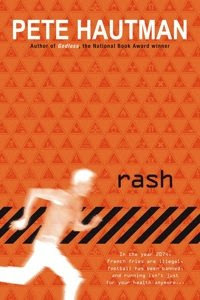 This was a good book, it is the sequel to Airhead where Emerson Watt's brain is transferred to Nikki Howard's body. This book has very conflicting themes which is not unlike the main character. It really gets you thinking about how your life is influential to those around you. Also how your actions effect others. Over all it was interesting and a good read. Unfortunately you need to have read the 1st book to understand what it really going on. You know the classic tale popular girl falls for less than popular boy. Well Robin Palmer puts a new spin on this classic story. Dylan is the most popular girl at Castle Heights High she has everything, the best friends and the best boyfriend but when Josh Rosen comes to her rescue one day she is indebted to him. His fee? She and her friends have to agree to be filmed for his documentary. But as Dylan's boyfriend stops talking to her and her friends grow farther apart. Who will Dylan have to count on? This book was ok it was well written and funny but there was not very much meat to it. But I would recommend it for a light read! So many people have been talking about how excited they are about the second book in the Hunger Games series called Catching Fire that comes out in September that I decided to see what all the fuss was about and read Hunger Games. I have to say that I loved it! It is a great story about the nation of Panem which consists of a Capitol surrounded by 12 districts, each year one girl and one boy are chosen from each district to participate in the Hunger Games where they fight to the death for the amusement of the people, as well as to show the dominance that the capitol has over the people. This book consists of three things I personally love to see in a book. Edge of your seat adventure, compelling characters, and a strong female main character. In this action filled novel there are hints of romance, feelings of allegiance and caring about another person almost as much as you care for yourself. Suzanne Collins has created a winning story with the characters of Katniss, Gale, and Peeta. Edited to add: Since the movie has come out more and more people are looking into this series and I have to say that I definitly reccomement it to everyone. It is a story of stainding up for whats right no matter what. The Hunger Games and the following books are a mirror to our society, one of the things that is so terrifying about these books is that I can totally see sometihng like this oming to pass. People cheering and not caring tha 23 kids are dying, we are not far enough away from that reality, so while you are watching the movie or reading the books think about that.